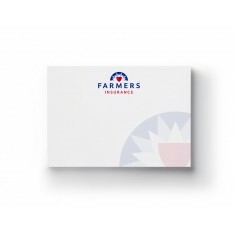 We supply a wide range of personalised Sticky Notes and Sticky Note Pads, all of which are custom printed throughout with your design. 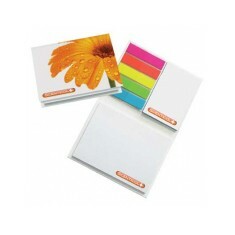 Not only do we have a huge range of different size sticky notes, the paper colour can also be changed. 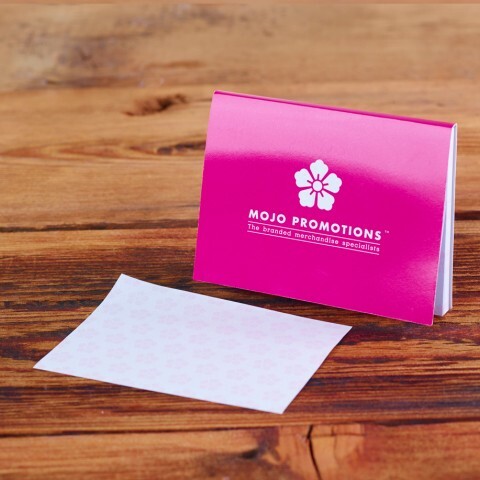 Our promotional sticky notes are ideal for jotting down everything from your shopping list to a gentle reminder for someone to clean up their desk. 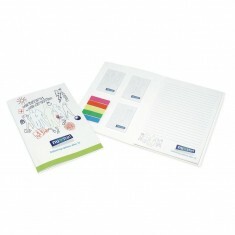 These branded products come in use in plenty of different environments from students revising in the library, to at your desk jotting down your ‘To-do’ list. We even do sets that have customised sticky notepads and pens so you have all of your note taking requirements at your fingertips! 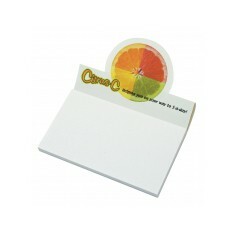 All of our range of branded sticky notes are great for handing out at events, whether that’s corporate or student. 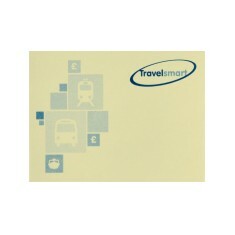 We do a variety of different shapes and sizes but one of our most popular sizes has to be our custom printed Sticky Smart Notes Square. 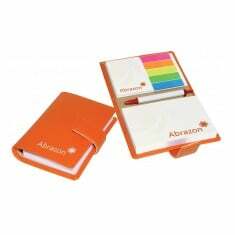 But, if you’re looking to equip people with all their sticky note requirements, our branded Edition is a stand that contains 2 packs of paper notes, 25 sticky notes and 5 sets of neon coloured flags to mark everything and anything they need. 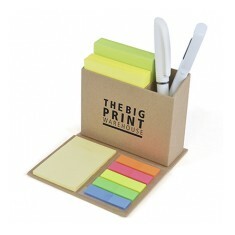 This desk set is great for any office environment and student desks, whether you’re placing them all over your screen or sorting your revision notes, you’ll have everything you need. 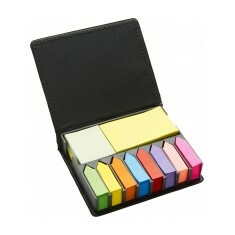 Ready to cover your computer in your own sticky notes that are personalised with your message? Give our sales team a call today. Smart, laminated finish. 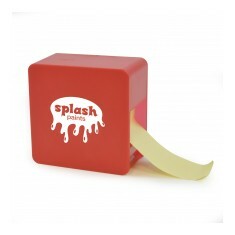 Print front and inside sticky notes. Individually packed. Variety of shapes & sizes available. 50 sheets of paper. 80gsm. Printed to every page. 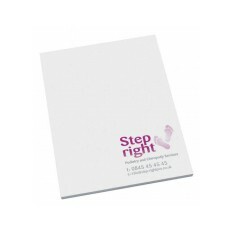 Perfect for passing a message to someone in your office, o..
Our personalised Sticky Mate notepads are supplied with 5..
50 sheets. 80gsm. Gummed down 1 edge. 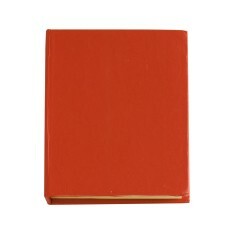 Branded full colour to each page. 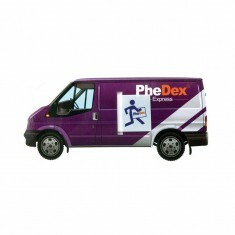 Printed photographic full colour. 50 sheets as standard. 25 or 100 sheets available. 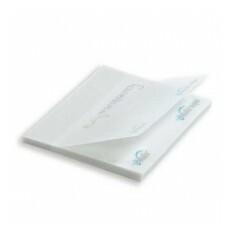 Containing 50 sheets of 80gsm translucent sticky paper pri..
Don't get cramped for room when leaving messages with our Sticky Notes A6. 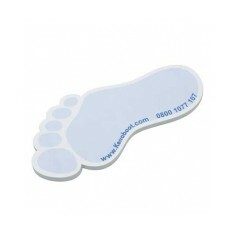 Thi..
Make your branding 'stick out' with our personalised Stick..
Take a step in the right direction with our Sticky Smart N.. 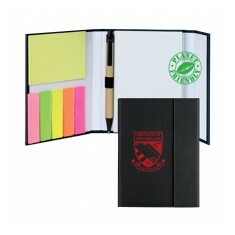 Containing 50 sheets of white 80gsm sticky paper, gummed a..
Sticky notes & tabs. UK stocked. Large branding area to be custom printed. Printed to every page. 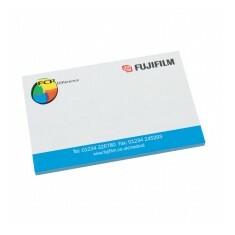 50 sheets of 80gsm. Various paper colours available. Complete bespoke page markers, printed with your design in full colour as stan..
Card case with approximately one hundred self-adhesive mem..
Personalised to every page. 50 sheets. 80gsm. 100% branding coverage. 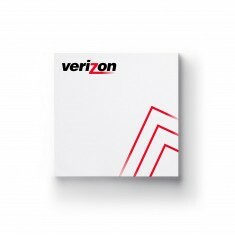 Keep your message sticking around with our custom printed A5 Sticky Notes. Con.. 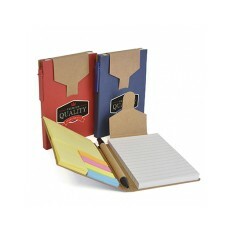 The perfect tool for any office or business environment, o.. 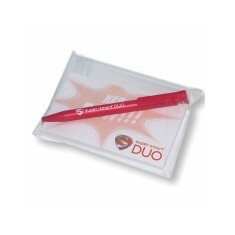 Combining the best selling Super Hit Pen and 5x3" Sticky S.. 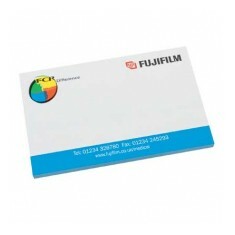 Gloss Laminated 300gsm card cover containing five 20 sheet index tabs and one .. Shapes cut out from 105 x 150mm. 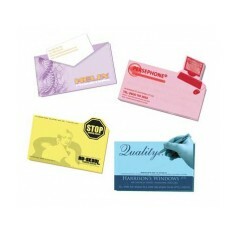 Standard shapes Envelope,..
Make your promotion pop-out with our Sticky Smart Billboard Notes A7. Containi.. Alternative to standard sticky notes. Generous print areas. 3 colour choices. 50 sheets of paper. 5 - 10 designs throughout the pad available. Gummed along long edge. 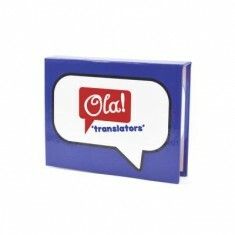 Card hard back book with white speech bubble design on the front cover. 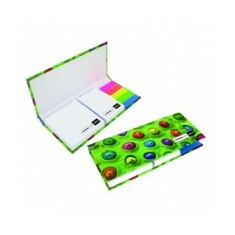 Contai..
Great desk set containing a pad of 20 Sticky Notes, Index Tabs and an 80 page ..
A brilliant promotional desk set for your clients. The har..
Made from recycled paper. 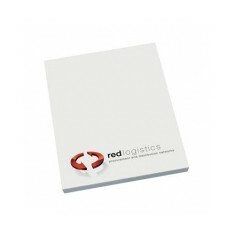 480gsm cardboard cover. 70 pages, 20 sticky notes & flags. 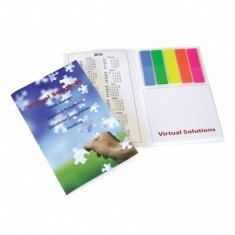 Laminated card cover contains five 25 sheet index tabs, th..
Hard back cover contains five 20 sheet plain index tabs. One A8 (50 x 75mm) 12.. 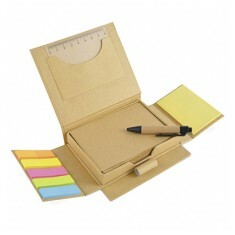 Recycled hard backed desk caddy with 2 packs of 180 neon sheets, 25 yellow sti..
Hardback cover folds out into stand. 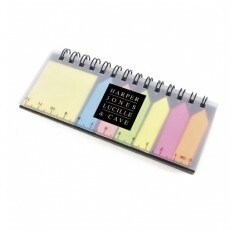 50 A7 sticky notes, A8 pad & month to view calendar. 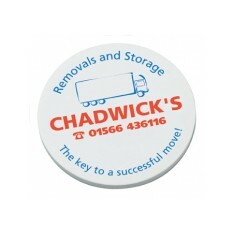 A premium and practical desktop gift! Contains 3 wax gel h..
PU cover. 5 colour index tabs. 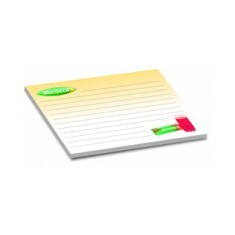 A8 25 sheet sticky note pad. 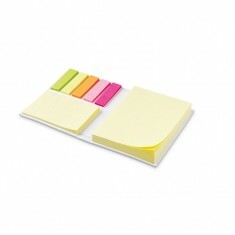 A7 100 sheet sticky note pad. 8 index tab colours. 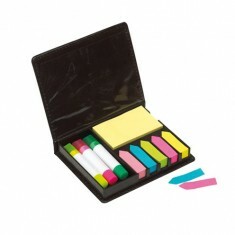 2 sticky note colours. 2 sticky note sizes. Printed to PVC case. On the train annotating an essay or at your desk writing a passive aggressive ..